When it comes 3 ring binders and divider tabs we have you covered. 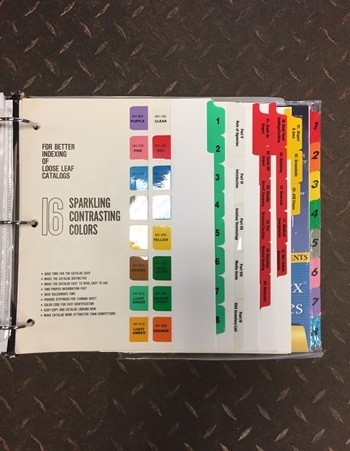 Tabs are used for quick reference in a safety manual for example. We can mylar reinforce the tab and the spine to help them from tearing out. Custom printed tabs are available in many great colors. We can produce banks of 2 up to 11, plus specialty tabs. Ask one of our customer service representatives to view a sample.